* 2018 ANA World's Fair of Money, My First Large Show. 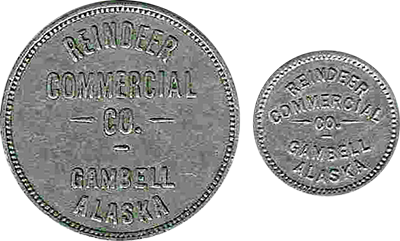 * A White Elephant Token for My Collection. * Something for Everyone at the Annual Picnic. 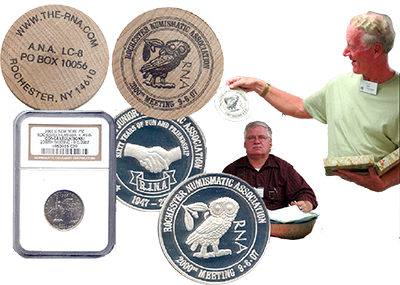 * 46th Annual RNA Coin Show November 3-4. * My background and other interests. 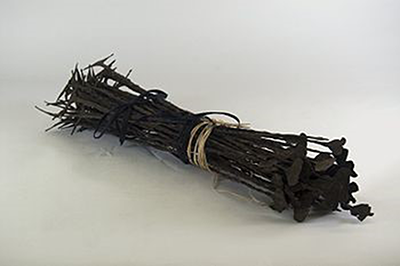 * ...it’s the long-standing traditions that provide connectedness and resilience. 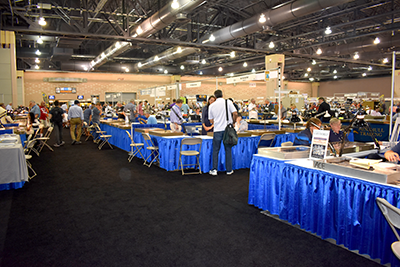 * Please join us at the ANA World’s Fair of Money in Philadelphia this summer. * Thanks to John Zabel for a weather emergency procedure. * Thanks to John Lighthouse, Ted Vaccarella and myself for an RNA officer transition guideline. * Thanks to everyone on the website team headed by John Lighthouse. * Thanks to John Lighthouse, Ted Vaccarella and myself for the revised RNA Official Documents. 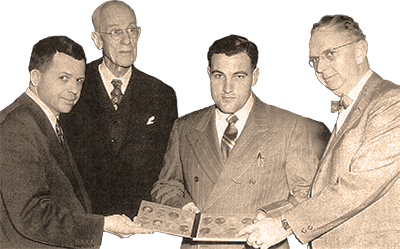 * A budget oversight committee was established at the last RNA Board meeting. * Thank you to everyone on the Board. * A short presidential hiatus this spring. * An exciting opportunity for RNA to host a Boy Scout Merit Badge workshop. * Spring is nearly here so it's time to enjoy some fishing. * With the advent of spring, hopefully some who haven't been able to attend a meeting for a while can attend one. All in the Numbers – What’s in Your Wallet? 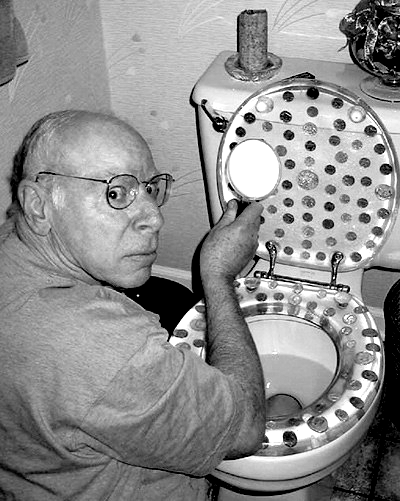 * John Zabel's an emergency notification plan is in place. 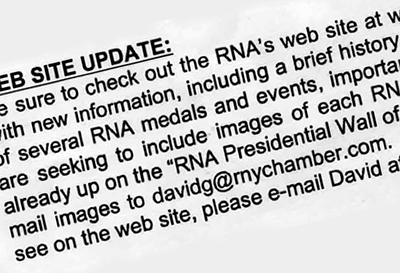 * The RNA website is nearly completed and ahead of schedule. 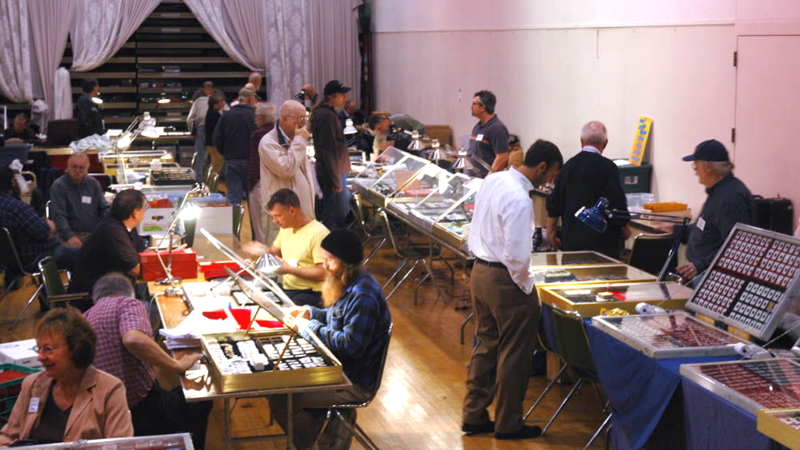 * The RNA 45th Annual Coin Show was a resounding success. 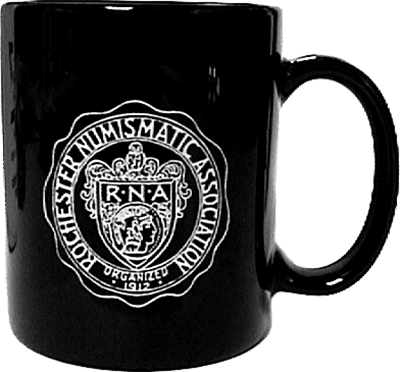 * Please pay your dues (You can check your dues status by logging in to the RNA website). 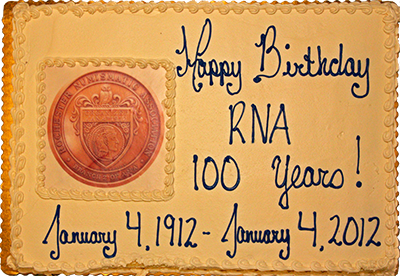 * The RNA year is now in full swing. * Phase II of the RNA website has now been completed. * ...starting with the Jan/Feb 2018 edition, newsletters will only be sent via email. 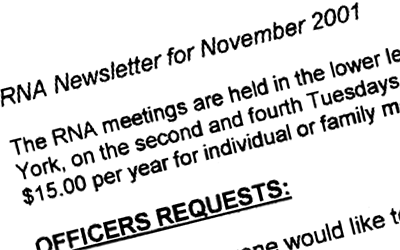 * When a current member brings in a new member who joins RNA, the current member’s dues are waived for one year. * Boy how the summer flies by! * With the summer comes fall and the start of new RNA meetings. RNA Coins Pay for Colosseum? * My term started...in the 1950s RJNA. 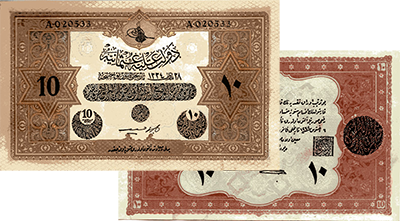 Did Your Commemorative $1 Help Win WWII? 21st Century: Heritage "Collector’s Handbook"
Where Will We Meet? The RMSC? * I would like to introduce myself. * Introduce your friends to RNA. * Help strengthen your club in any way you can. * Try to increase fellowship among our membership. * What is our official mission? * Learn more about your fellow members. 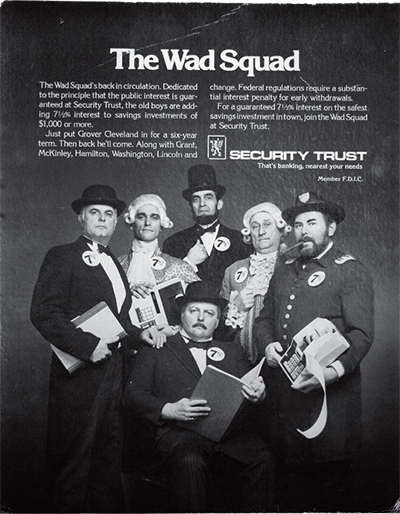 * Help the club strengthen its purpose in educating ourselves and the public. - Why the keen interest in the RNA? A Tale of Two Auctions, Part III: What Can We Do to Fix the RNA Auction? I would like to give you a brief bio for those that do not know me. 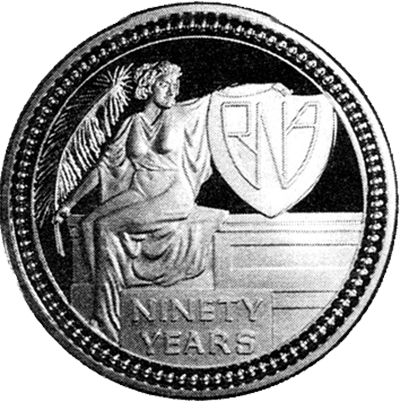 Reverse of RNA Presidential Medal Coin Type? * I would like to thank all of you who have helped and supported me during this past year. * Let's, as a club, continue to reach out and show those around us what it is that we like about our hobby. 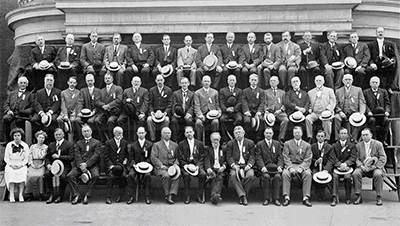 We've reached a big MILESTONE as a club - our 100th anniversary! CONGRATULATIONS not only to all of us who continue club traditions, but also to those before us who established those traditions. 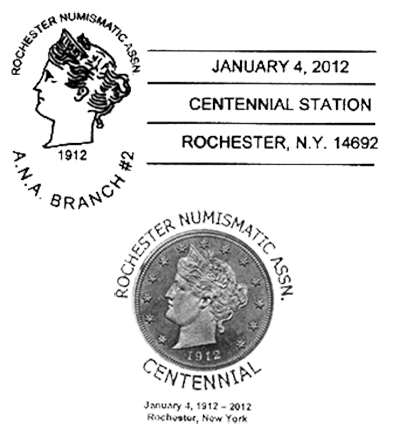 A yearlong celebration of a CENTURY of friendship in Rochester through coins. Thanks for the fun and the fellowship all of you have added to our combined collection experience. * Our focus for the next few months will be getting ready for the "SPECIAL 2012 YEAR". * Education is a big part of our mission. 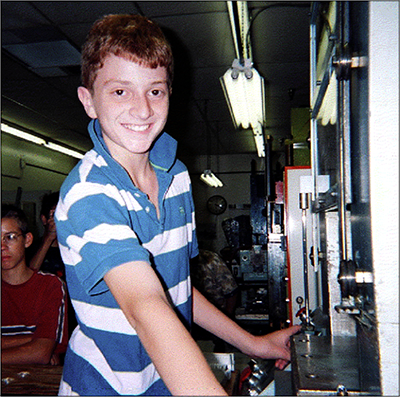 * Help make EDUCATION an even bigger part of our Special 2012 Year. As my term is nearly over...thanks for your...support throughout my presidency. To all of you, I offer a heartfelt "thank you." 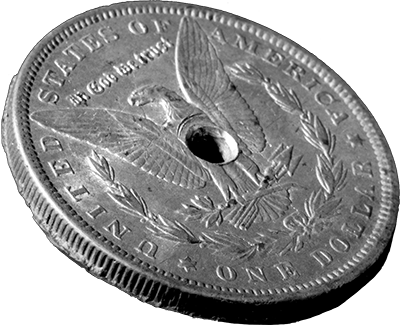 Is this the Face on the Half-Eagle? Why Isn’t Slab Production Better? Meinhart, Banquet and a New Board, Too! 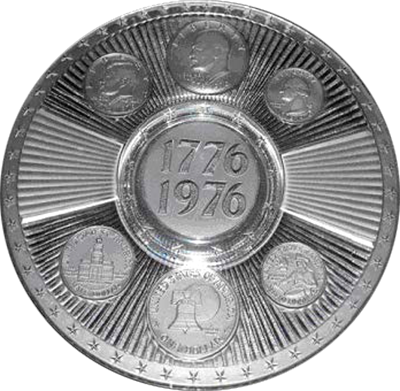 Coin Glass Plates of Imperial Glass Co.
2012 Only Three Years Away - Are You Ready? 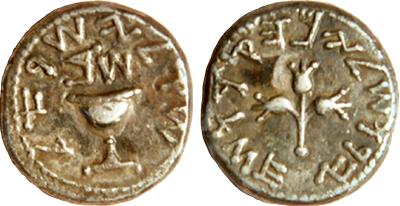 Were Kettle Tokens First Pattern Pieces? 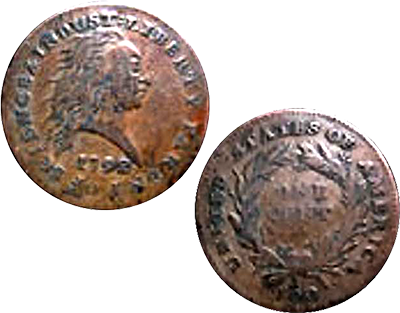 Benjamin Franklin, Printer and – Minter? Bob Doty Needs a Kidney – Can You Help? 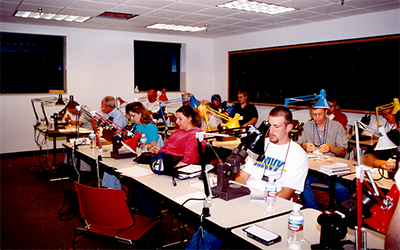 Ready for the RNA’s 2000th Meeting? * This is always a time of year to celebrate and be thankful. This year I’m thankful for Bill Coe and Gerry Muhl. * We continue to run in the black this year. Thanks to everyone for fiscal restraint. 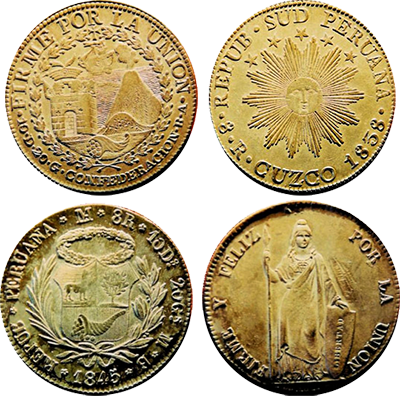 * Having approved an inventory of the club’s coin collection at the last board meeting, an ad hoc committee was formed to complete the effort. 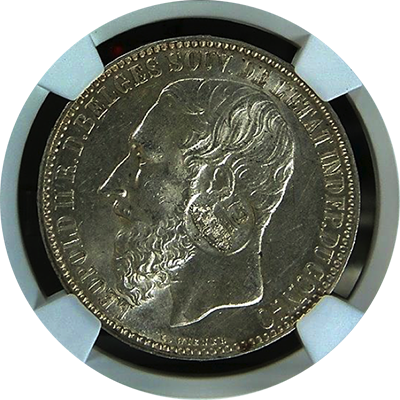 * It’s November, and that means theAnnual RNA Coin Show!. 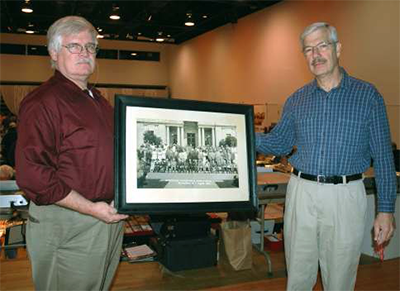 * Thank you to Richard Nachbar for his continued generosity and patronage of the RJNA. * Please complete and return the RNA Collection survey. * The board passed a BALANCED BUDGET. 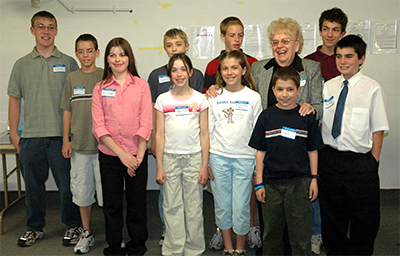 * RNA members have provided outreach to local schools. 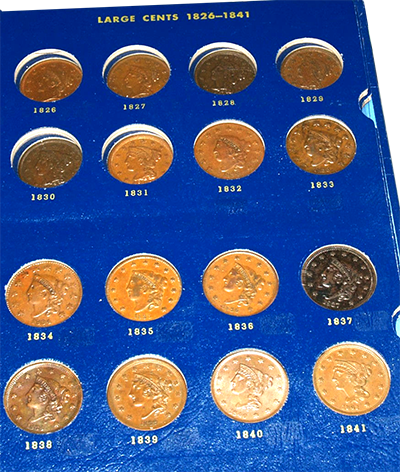 * The board has received a copy of the RNA Coin Collection inventory; it contains thousands of items. * I urge the board to draft a mission statement for the collection spelling out what the collection will hold and for what purpose; everything else, I believe, should be sold. * We are one year closer to our 100th birthday! The RNA is a viable, generally healthy organization but we need to eliminate annual deficits. * It is critical that we recognize the hidden heroes of the RNA. * Education is our primary raison d’etre. 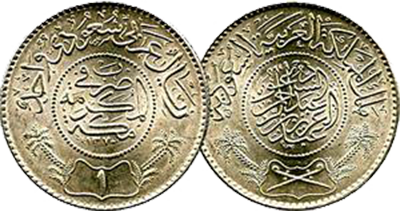 * I believe that it is imperative that the RNA Coin Collection be *shown. 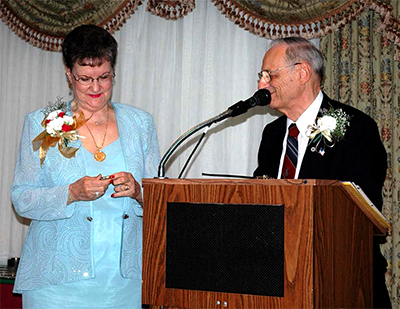 * It’s crunch time - it’s the day before our annual banquet with a long list of "To Dos." * As my presidency comes to a close I hope to be able to continue to serve you all in the future. 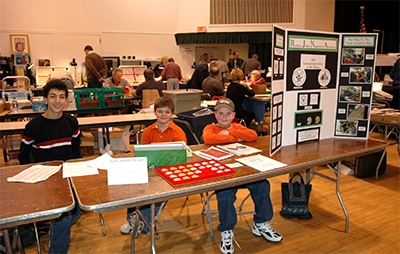 * National Coin Week got off to a great start with lots of fine posters made by 11 of our eager, young numismatists. * We put together a fine display of our presidential medals in the Rochester Museum and Science Center. 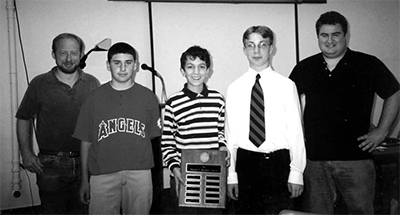 * The Meinhart Speaking Contest is May 18. 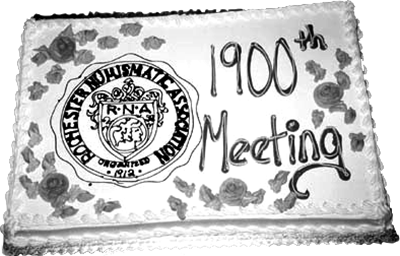 * May 19, is the regular RJNA meeting night. 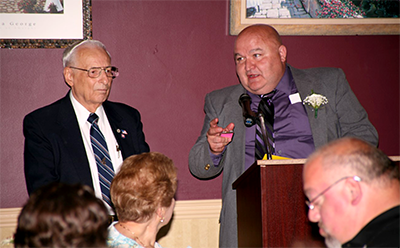 * Our annual banquet is Friday, May 26 at the Green Lantern Inn in Fairport. 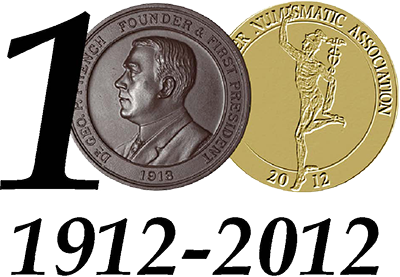 * Charles Ricard, RNA member #1, will be on hand for the unveiling of our new writers’ medal. * The calendar signals spring, the start of the fourth quarter of the RNA fiscal year. 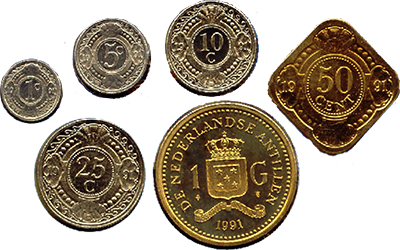 * We celebrate National Coin week from April 16–22. 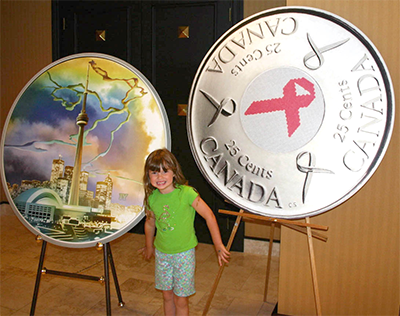 * Eleven members of the RJNA made posters for National Coin Week. 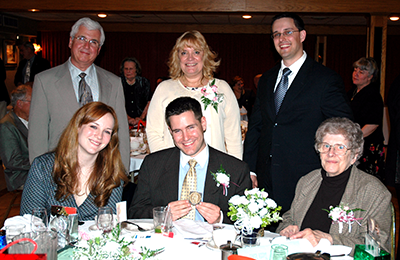 * The annual Meinhart Speaking Contest is scheduled for May 18. 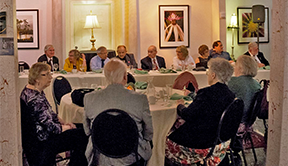 * The Annual RNA Banquet scheduled for May 26 will once again be held at the Green Lantern Inn in Fairport. 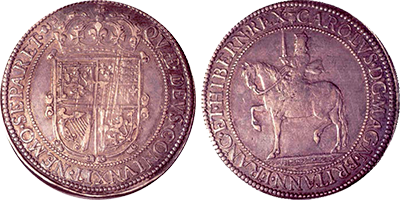 * Get ready for National Coin Week. * We need help planning our annual banquet. 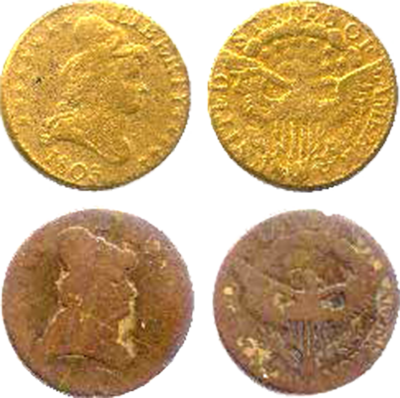 * Maybe we could have a joint project with the RJNA for National Coin Week in April. * We need volunteers to serve on our nominating committee. 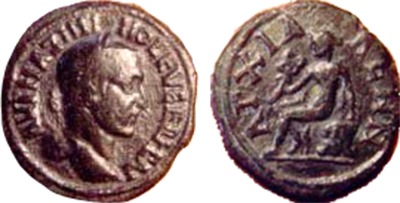 * If your numismatic battery is running low and needs recharging, I suggest you consider coming to a meeting of the RJNA. 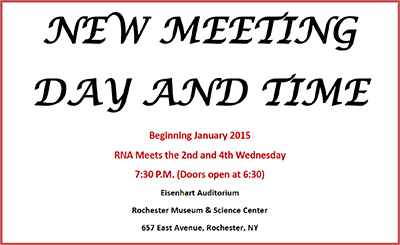 * The December 15 RNA meeting was cancelled due to poor weather conditions. Order your Edie medals now! 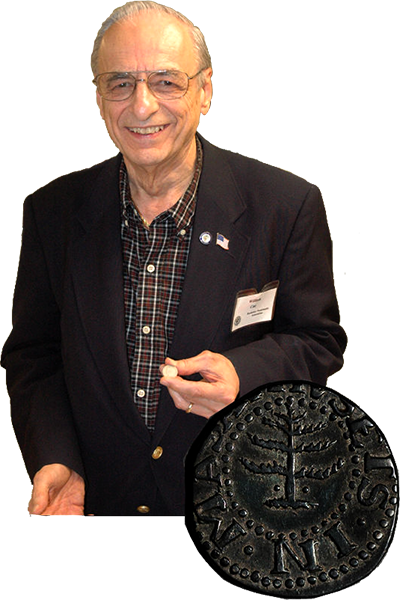 Are you the Numismatist of the Year? 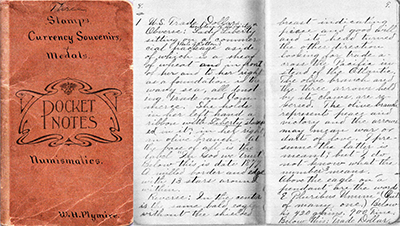 * As I write this column, I am reflecting on the flight of time, tempus fugit. 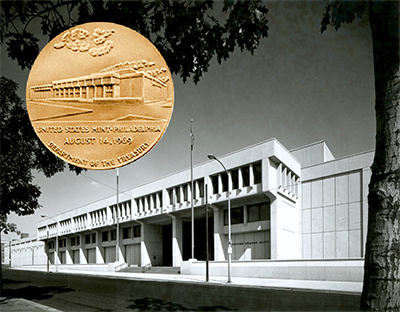 * The RNA had a busy fall with the speakers' program, Sanders memorial medal & coin show. * My holiday wish, especially for our members and families, is to share in all the joys that our holidays bring. 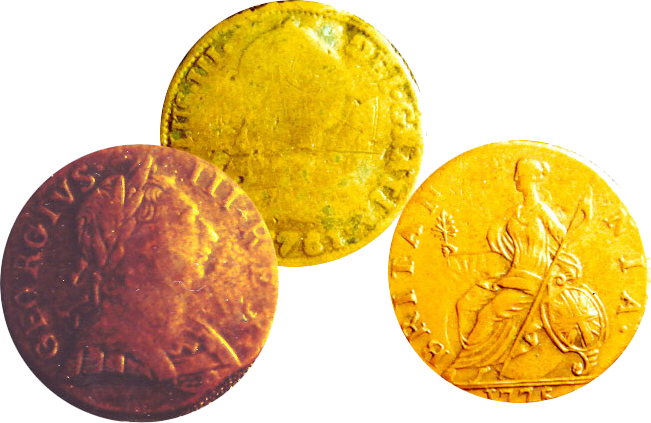 Can You Spot the Counterfeits? 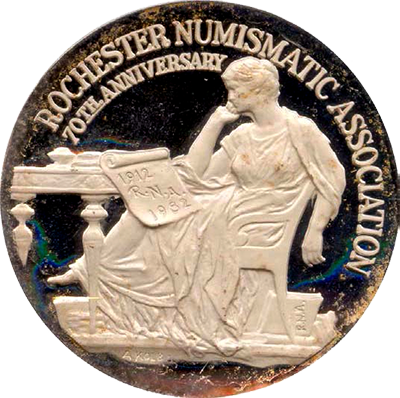 * The RNA’s new Writers Medal was revealed at the September 15 meeting. * RNA News welcomes contributions from you in other forms, too. * The RNA summer picnic kicked off my summer. * At our first board meeting of the year we discussed a theme for the year, “recruitment of new members;" I welcome your thoughts on the theme. * We also welcome your thoughts on how we can help the RJNA. 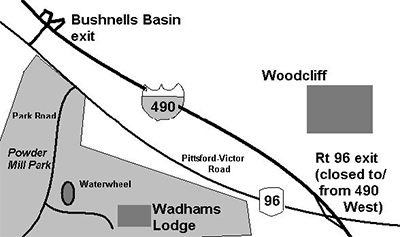 * The first activity of our New Year is our summer picnic, set for July 17th in Wadham’s Lodge in Powder Mill Park. * I want to begin our New Year with a BIG THANK YOU to our last president, Edith Coe, for the high level of her leadership. 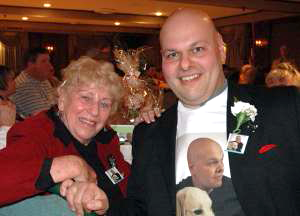 * I look forward to being an honorary member of the RJNA this year. * We need volunteers for various activities. * June 2 is the Annual Meeting. * July 17 is the Summer Picnic at Powder Mills Park. * I would like to thank all the officers, directors, committee chairmen, and members for your help and support during my presidency. 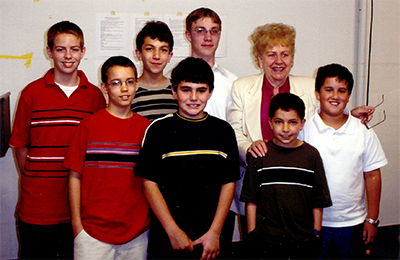 * Ten Junior Club members participated in the Meinhart Speaking Competition. * A good time in KC at the ANA’s National Money Show. 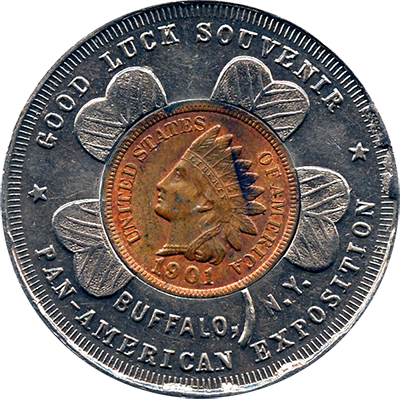 * The ANA board probably won’t award the 2012 National Money Show until early 2007; we're working on that. * We need a volunteer for secretary. 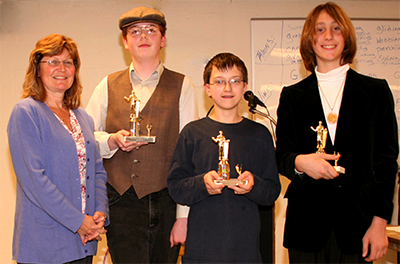 * I encourage our Junior Club members to participate in the Meinhart Speaking Contest on May 19. * The Annual Meeting on June 2 is a very important meeting, so be sure to put it on your calendar now! 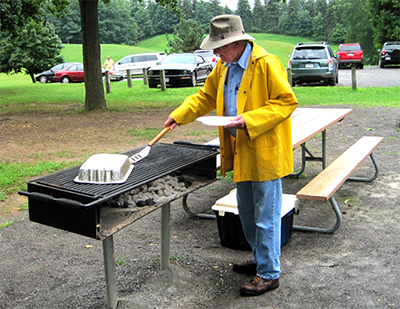 * The Summer Picnic is scheduled for July 17 at Powder Mills Park in Perinton. * Please note that the Year-End Auction is scheduled to follow the June 16 meeting. 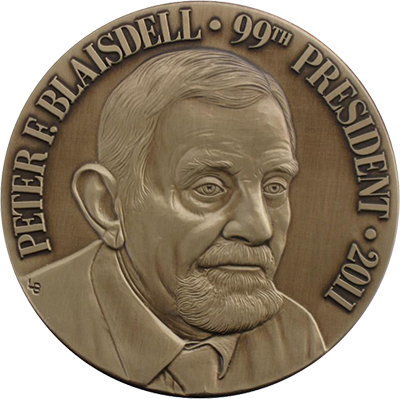 * An award for numismatic writing. * Honoring of officers who die while in service to the club. 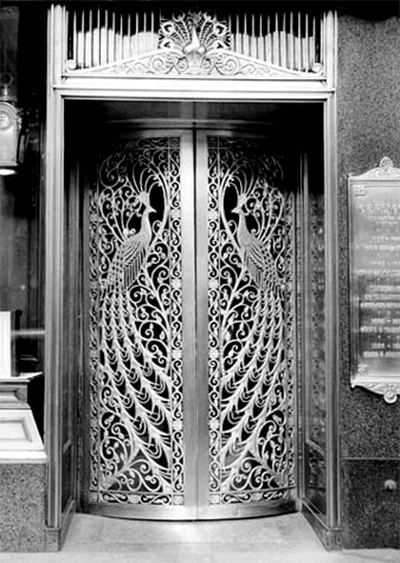 * Honoring of deceased club members. * Resolution on sending a letter to all ANA candidates. 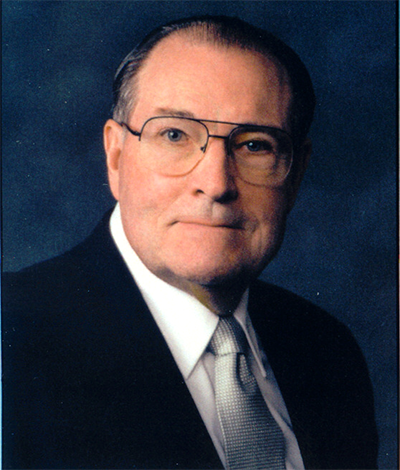 * We are saddened by the death of our board member Jim Sanders on December 26. 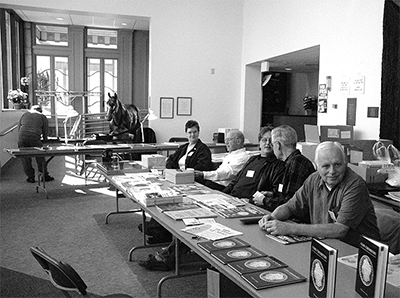 * Many thanks to all members who volunteered to give a talk during the 2004-2005 season. 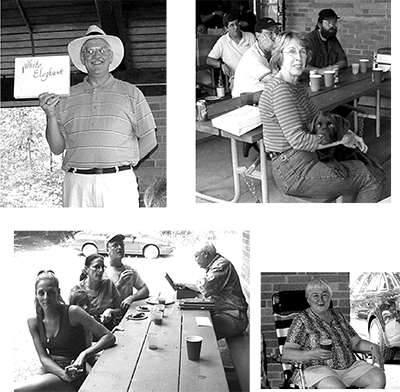 * Our annual picnic is scheduled for Sunday, July 17, 2005 at Wadhams Lodge in Powder Mills Park. 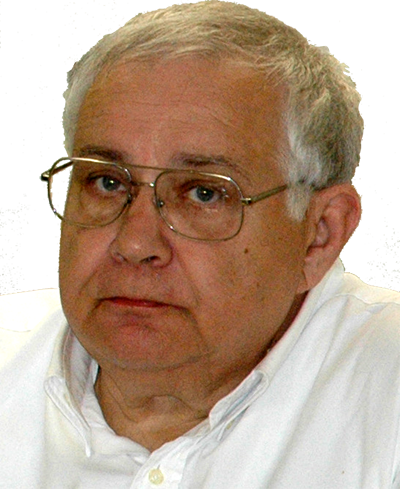 * Mike Luck has volunteered to record meeting minutes for Joe Lanzafame for the rest of 2005. * We have had very interesting speakers this fall and I know it will continue throughout the year. 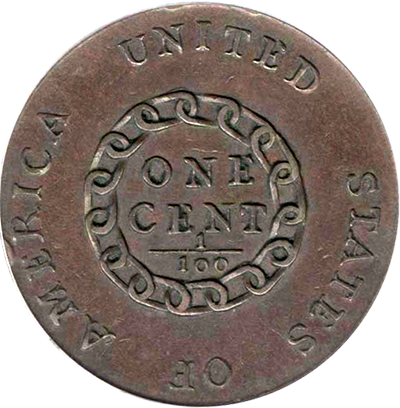 * Wayne Scheible donated the 1804 half cent he won at the November 4 auction and donated the coin to the Club. * I would like to have a “special evening” for members and their spouses. * Thanks to the officers and members for their ideas and suggestions to keep our club active and educational for all. * The RNA News continues to educate, inform, and amuse us. 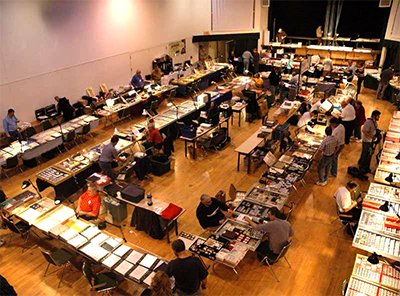 * The 32nd Annual Coin Show and Sale Committee has been working hard preparing for the November 6–7 Show. 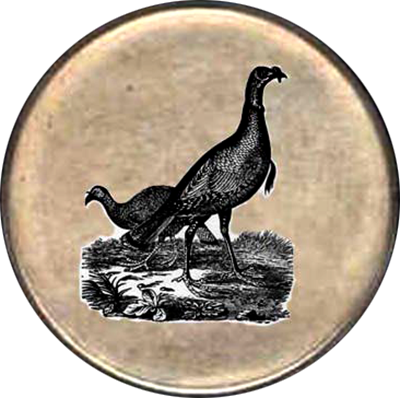 * HAPPY THANKSGIVING to everyone. EAT HEARTY! * Well, this 2004-2005 year is off to a busy start. * Possibility of having a joint show with ESNA in the near future. 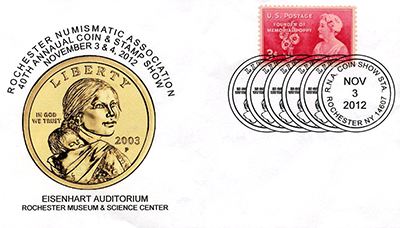 * RPA is in the process of asking the American Philatelic Society to allow coin dealers into ROPEX in June 2005. 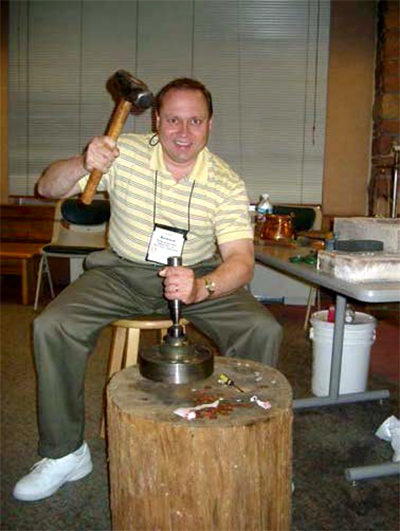 * Treasurer Ted Vaccarella is ready to accept your 2004–2005 dues. * Vice President Tom Kraus is still looking for speakers for this year. 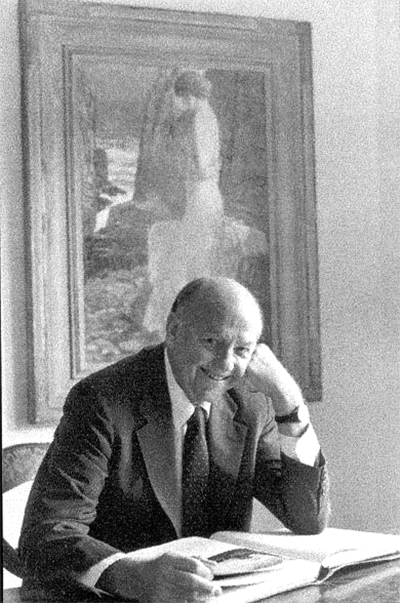 * Thanks to David Gottfried for his leadership and all the projects completed during his presidency. 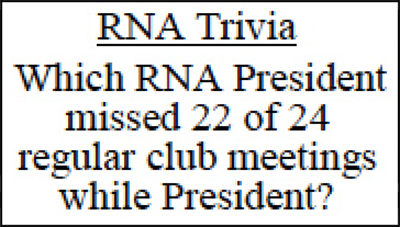 * I would like to see the RNA Bylaws reviewed...this should be done on a regular basis. 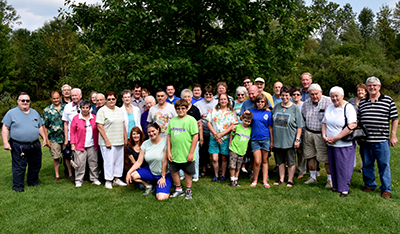 * Our August 8 picnic at Wadhams Lodge in Powder Mills Park was well attended. * We need to have a committee to work together to put out our newsletter. * Our next meeting is Thursday, September 2, at 8 p.m.; THAT IS BEFORE LABOR DAY! * Some final words from (soon-to-beformer) President Dave. * Thanks and congratulations to several members. 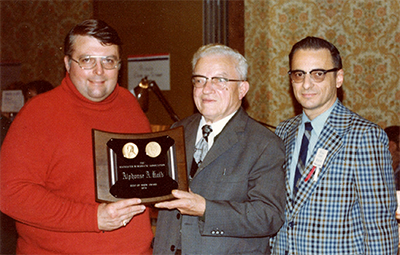 * Thanks to everyone who contributed financially and with time to the Rochester Junior Numismatic Association. 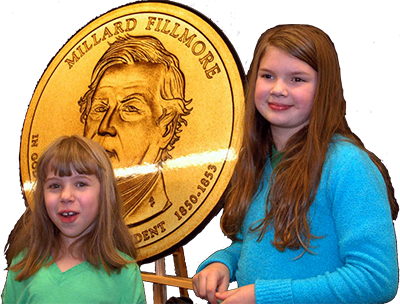 * You can join your fellow numismatists on a guided tour of the Augustus Saint Gaudens exhibit at the MAG on Saturday, March 13 at 2:00 p.m.
* The Fed is in consolidation mode; later this year the Buffalo branch building will come up for sale. * My interesting experience spending Sackies. * Nasty weather forced us to cancel our only regularly scheduled January meeting. 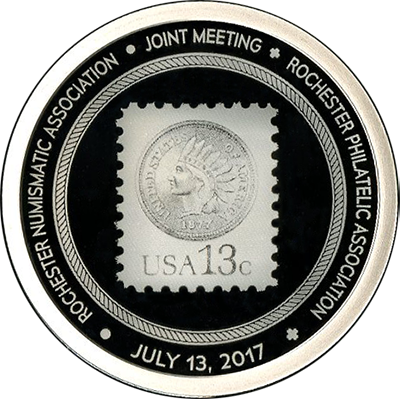 * it was nice to see so many senior members attend the Rochester Junior Numismatic Association the day after the RNA meeting was cancelled. 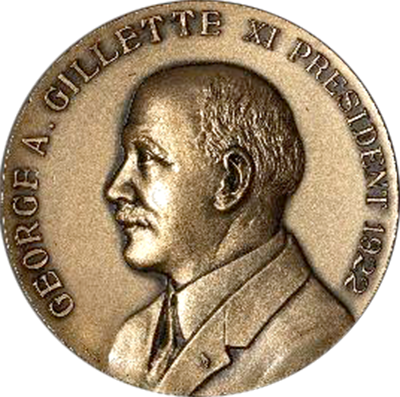 * The Augustus Saint Gaudens exhibit at the Memorial Art Gallery is scheduled for Saturday, March 13th at 2:00 p.m.
* The RNA will be hosting a general membership meeting at the ANA convention in Pittsburgh. * We have several exciting events going on in the coming months. * We have scheduled a group tour of the Augustus Saint Gaudens exhibit at the Memorial Art Galley. * I hope members can join us for a lunch on Saturday, January 24, at NOON at Nathaniel’s Pub. 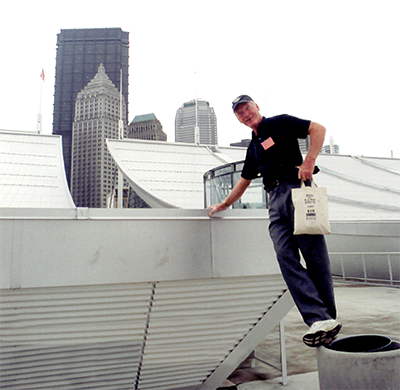 * The ANA convention is scheduled for August 18–22 in Pittsburgh, PA; let's show our numbers! 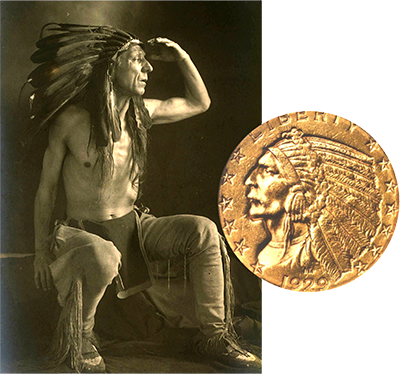 Meet the model for the Sacagawea Dollar! An ESNA Show in Rochester? * Augustus Saint Gaudens exhibit coming to Rochester from February to April. * Social lunch scheduled for Wednesday, November 19th at NOON at Beale Street Café. 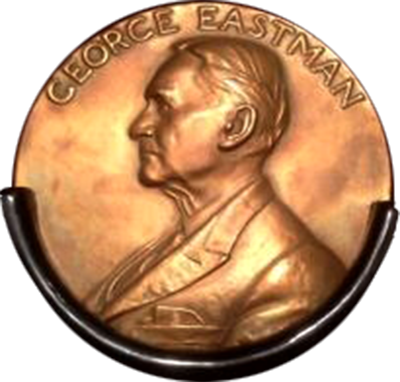 * I’d like to thank Edie Coe and the rest of the Board for doing an excellent job in my stead at the last regularly scheduled meeting. 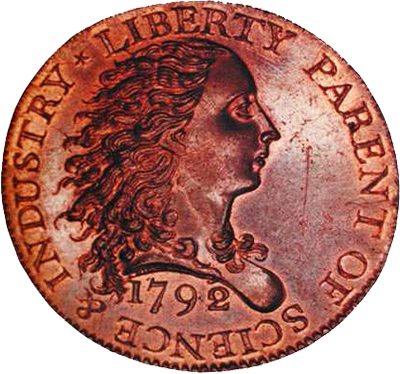 * This newsletter will arrive in your mailboxes just before theRNA’s annual coin show. 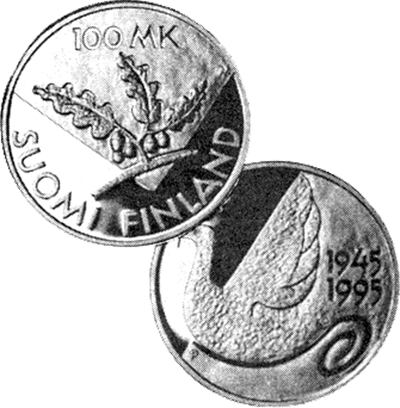 * Moving forward with Coin Week in April. 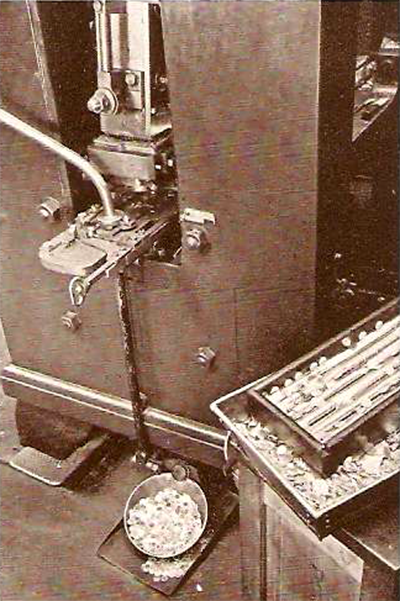 1913 Liberty Nickels: Did We Have Them First? Picnic – Then Picnic Again! 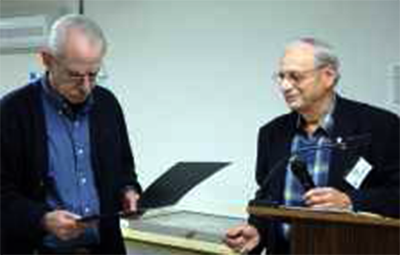 It’s the RNA News Caption Contest! * Beginning in September, meeting dates will change to the first and third Thursdays of the month. * Annual dues will increase $15 to $20 for the 2003-04 year. * I hope to undertake some important new initiatives for the RNA in 2003–2004; foremost in my mind is a makeover of the John J. Pittman Memorial Library. Newsletter Naming Contest: It’s Time to Vote! * Thanks to All Who Contributed to Make The Past Year a Great One. * Also, I want to thank the past presidents who sent me their biographies and hope to receive them from others who haven't. So What’s this Thing Called Now? 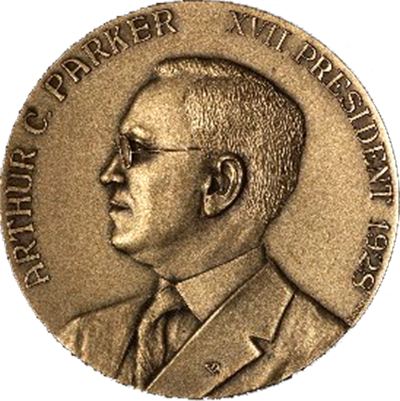 * After my term as president over, I'm going to work on a Guide to RNA Medals; contributions are descriptions encouraged. * With the coming of spring we'd love to see members who couldn't attend during the winter. 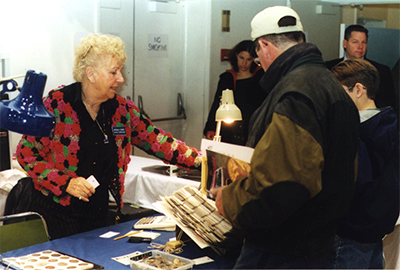 2002 Coin Show a Big Success! * Some of our members don't come to meetings that often, so it's always a pleasure seeing them. * If you would like to come to a meeting, but need a ride, feel free to call me or Dave Gottfried a few days before the meeting. 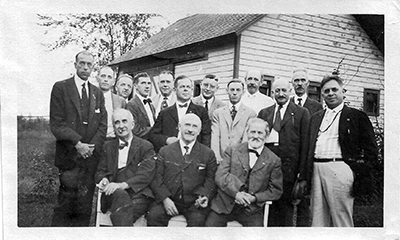 * All members (in good standing) are welcome to attend our board meeting on Tuesday, March, 4 at 8:00 p.m.
* The February 25 meeting will have be our 1900th meeting. 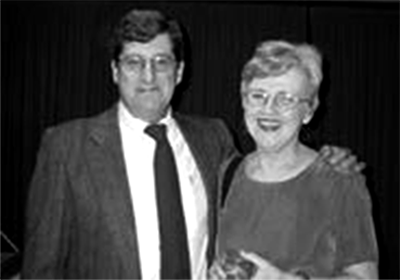 Next milestone meetings are our 2000th (11/27/2000) and our 2100th meeting (9/11/12). 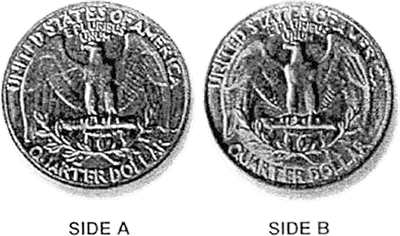 Extend the State Quarter Program? 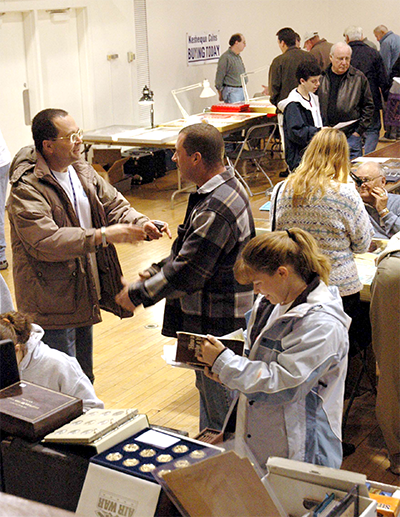 * Our 30th annual coin show is scheduled for Saturday & Sunday, November 2–3. * The next board meeting is scheduled for Tuesday, November 19 at 8:00 p.m.
* The first and only meeting in December (next month) is our Winter Auction. 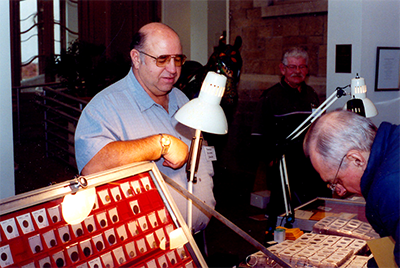 * Please contact Gerry Muhl if you'd like to exhibit at the RNA coin show in November. * I feel that a president of a club should know most of the...if you haven't met me, come on up and say hi, if I don't come to you first. * If you haven't come to a meeting in a while, we'd love to see you or hear from you. * A large RNA contingent attended the ANA show in New York. 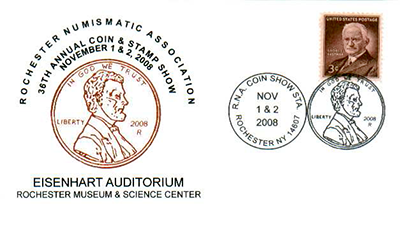 * The annual RNA coin show is scheduled forNovember 2–3 this year. 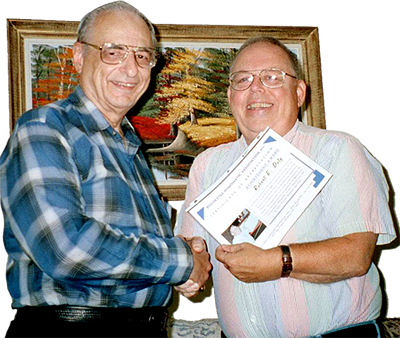 * Our first meeting, September 13, is our annual talk about club members' experiences at the ANA show. 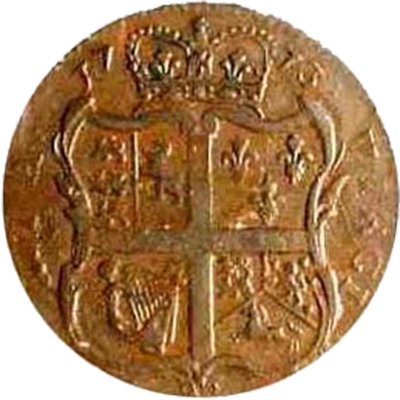 Get your RJNA History in Before the Deadline! * Our first regular & Board meetings of the new year will be the picnic at Powder Mills Park. * I invite members to give me Input for Ideas for meetings and improving our club. * I thank everyone in advance for their support in the coming year. * I invite all of you to join me in making this a very successful and enjoyable year. * We’ve made a lot of progress this year, and I am excited at the prospects for continuing this growth in 2002-03. It’s Election Time - Your Ballot is Enclosed! 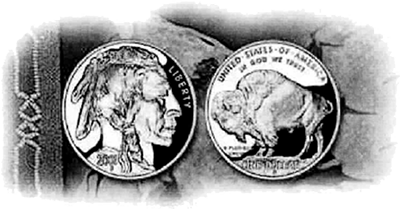 * Sacajawea Dollar...Study Finds Coin, for All Practical Purposes, a Failure. Dinner April 9 – Be There! ANA in Rochester: On Track to 2012! 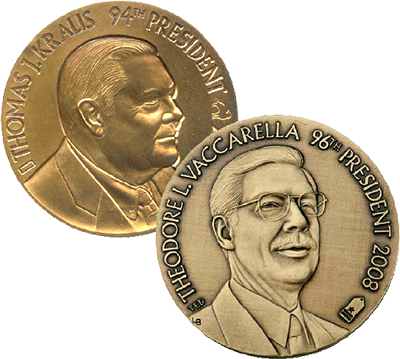 90th Anniversary Medals Are Here! * You never know what sort of e-mail will arrive as a result of the RNA Web site. ANA in Rochester: 2012 Only a Decade Away! * We are grateful to Melanie Bael for her work as club secretary. 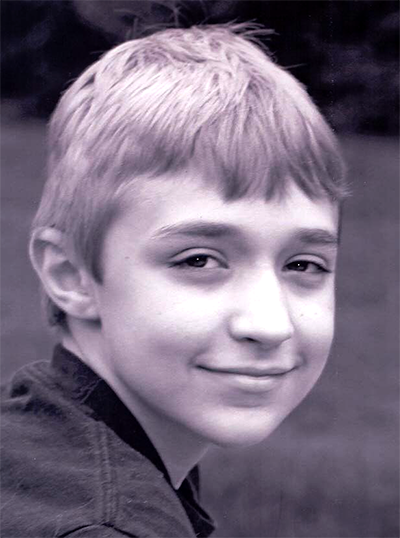 * Congratulations to our vice president, Jason Childers, as he plans for his May wedding. 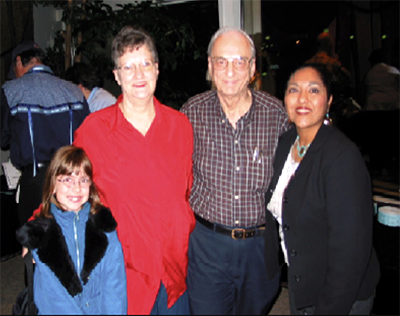 * We appreciate the volunteer work by RNA members and encourage others to join in. 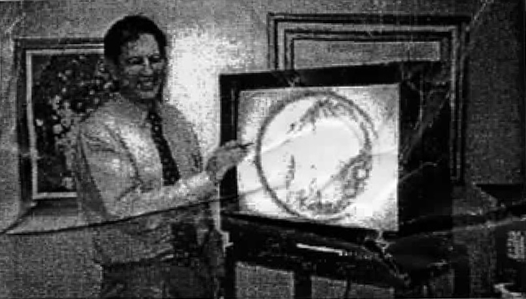 Video Microscope Enhances Educational Programs - Should the RNA Have One?